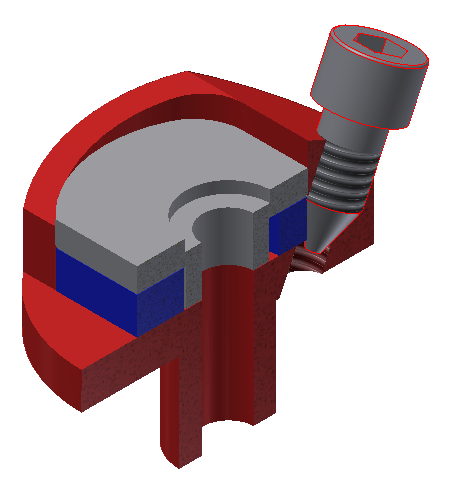 I was thinking of some of the nifty new things that the 2014 release of Autodesk Inventor brought with it. I was always quite fond of the Ground and Root functionality from the previous release, which enabled users to quickly assemble Top-down design components by grounding them at their origins in the assembly.’Place Grounded at Origin’ builds on that functionality, by adding the option during the Place workflow. 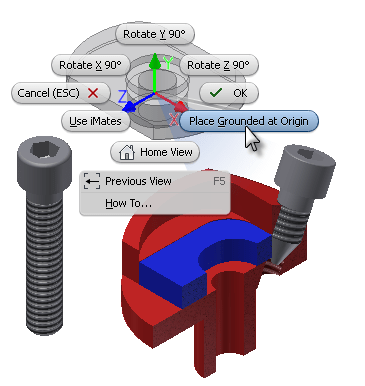 While placing components, simply pick the ‘Place Grounded at Origin’ option from the right-click context menu. Alternately, you can gesture down and to the right to fulfill this placement. Many of my designs are built on skeletal and multi-body workflows, so this functionality is perfect in these type of situations. PreviousAutodesk announce intent to acquire Delcam! NextHow can I create CNC cut files using Autodesk Inventor?